It has been revealed this week that the adventure game Broken Sword 5 The Serpent’s Curse will be soon available on the Nintendo Switch after previously launching on other platforms PC, OS X, Linux, PlayStation Vita, Android, iOS, PlayStation 4 and Xbox One. Nintendo gamers will be able to enjoy the adventure from September 21st onwards developer Revolution Software has announced. Releasing a new teaser trailer to whet your appetite for the new Switch version which includes extra content such as behind the scenes movies and a new user interface. 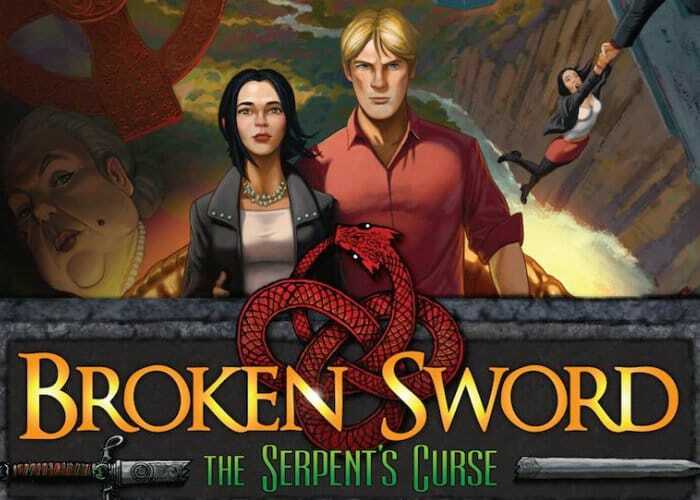 For those unfamiliar with the Broken Sword series, Broken Sword The Serpent’s Curse takes the form of a a 2D adventure game played from a third-person perspective. The game provides players with a point and click adventure during which players take on the role of protagonists George Stobbart and Nicole “Nico” Collard. A new gameplay feature rolled out with the game is the manipulation and combining of knowledge, enabling players to connect threads of knowledge together in order to draw logical conclusions. The Nintendo Switch Broken Sword 5 The Serpent’s Curse adventure game will be priced at £24.99 and will launch on 21st September 2018.